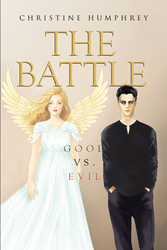 Recent release “The Battle: Good vs. Evil” from Page Publishing author Christine Humphrey is a fictional narrative depicting a group of high school friends whose classmates are apparently possessed by an evil spirit. They turn to their church for answers and receive the support and guidance that will help them conquer the malevolent forces trying to take hold in their town. Christine Humphrey has completed her book “The Battle: Good vs. Evil”: an inspiring story of faith for school-age readers. Published by New York City-based Page Publishing, Christine Humphrey’s book is an inspirational story reaffirming the message that faith and love conquer all. Readers who wish to experience this engaging work can purchase “The Battle: Good vs. Evil" at bookstores everywhere, or online at the Apple iTunes store, Amazon, Google Play, or Barnes and Noble.